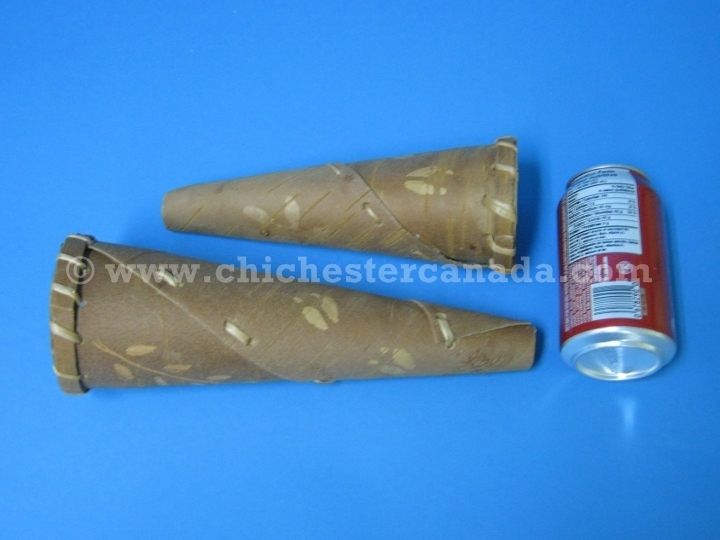 See a size comparison with a soda can and a close up of the base. 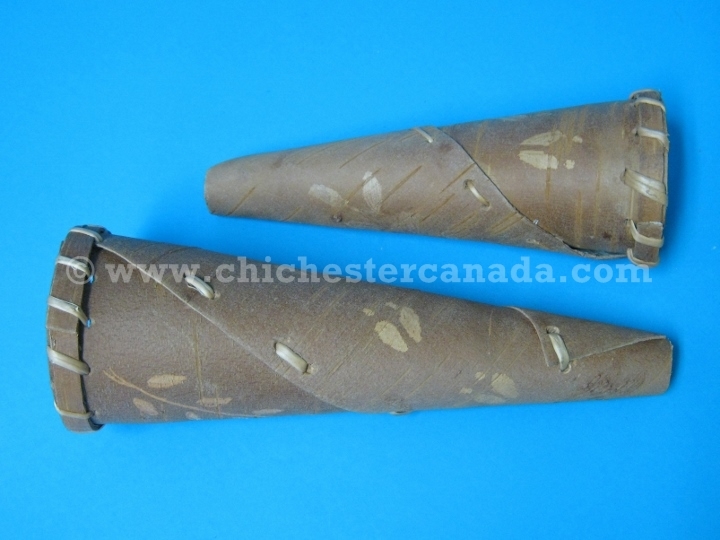 These are functional moose callers made by the Attikamek of Quebec, Canada. 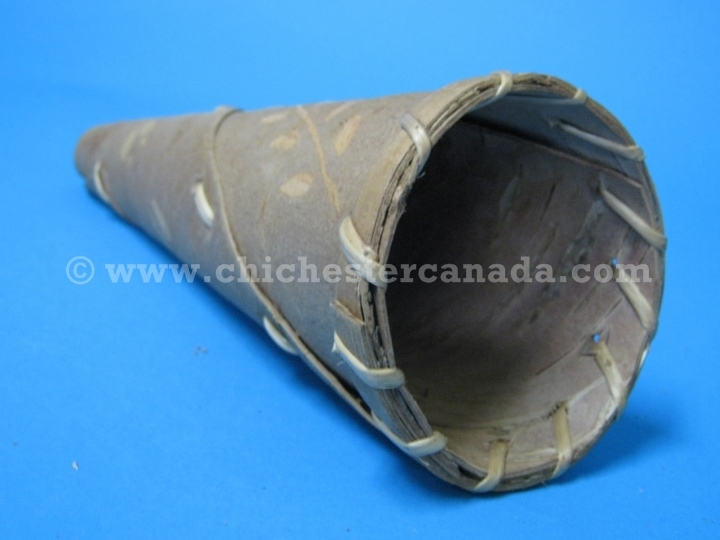 The moose callers are made using birch bark and bound with sinew. One moose caller is measured 11" long (27.9 cm), 3.5" wide at the bottom (8.9 cm), 1" wide at the top (2.54 cm) and weighed 97 g.